New house. New life. Old friends. Old traditions. I've owed you a bit of an explanation for my haphazard posting and recent London-oriented focus. I suppose it's been a long time coming, this move back. Can't say it feels quite like home just yet. But I can say it's been what feels like an age since I've felt so inspired, so motivated, and so excited to experience a city and all it has to offer. After a couple weeks of avid exploration, the only way I know how, through food, I have finally had a moment to settle into my new home. And so it only felt right to christen the new kitchen with a family tradition; Bircher Müesli. Something my Grandfather used to make every day, with a side of fresh bread and a slice of Gruyère. While generally I pass on the latter, his recipe for a hearty Bircher is something I've latched onto and carry with me everywhere. So much so that this little Swiss tradition has become my own personal tribute to home, the idea of home, wherever that may be; there's nothing quite like the ritual of breakfast making to sooth the aching, agitated soul. And so, amidst your ever-changing lives, I hope this recipe for Swiss Bircher helps you feel a little more settled wherever life's crazy adventure lands you. The night before, in a tupper-ware, place your oat/müesli mix, along with your yoghurt and milk. Stir until ingredients are fully incorporated. Core (but don’t peel) your apple, grate, and mix into your oat mixture until well distributed. Cover with the lid, seal well, and place in the fridge over night (or at least 7 hours). When ready to serve, in a bowl, mash up half a banana. 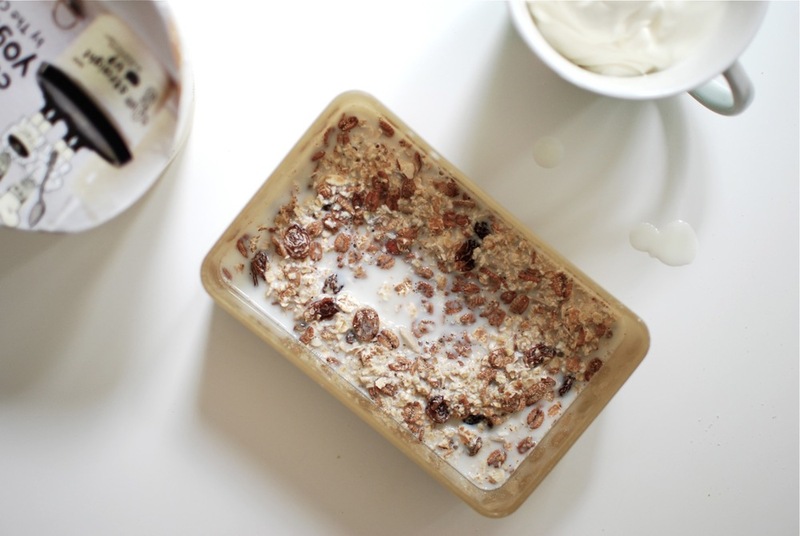 Then add 1/3 cup muesli and 1/3 cup yoghurt to the same bowl, and mix well, until fully incorporated. Serve with strawberry compote: 1 punnet strawberries, 2 tsp brown sugar, 1 tsp lemon juice, simmered on medium-high for 15-20 minutes – until soft but still holding shape. 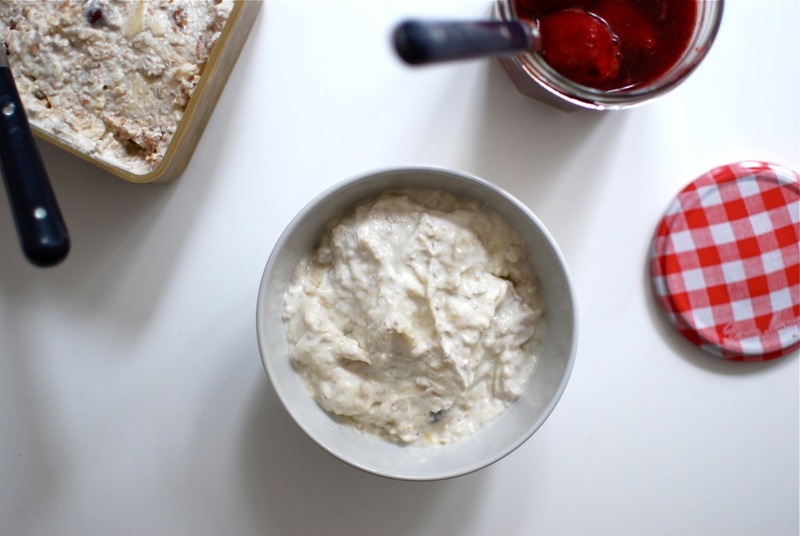 Serve hot or cold with your Bircher Müesli. For a little extra zing, add cinnamon to taste. Or for indulgence, cocoa powder. Top with any and all fresh fruits. With a dollop of jam, nutella, or nut butter of your choice. Sprinkled with shredded coconut, sunflower seeds, pumpkin seeds for extra crunch. Incorporate any and all of the following into your dry mix: shredded/slivered coconut, dried apricots/prunes, cranberries, almonds, hazelnuts, walnuts.